If ‘A’ is for Apple, and ‘B’ is for Banana, then your kids can surely think of a food for every letter in the alphabet. 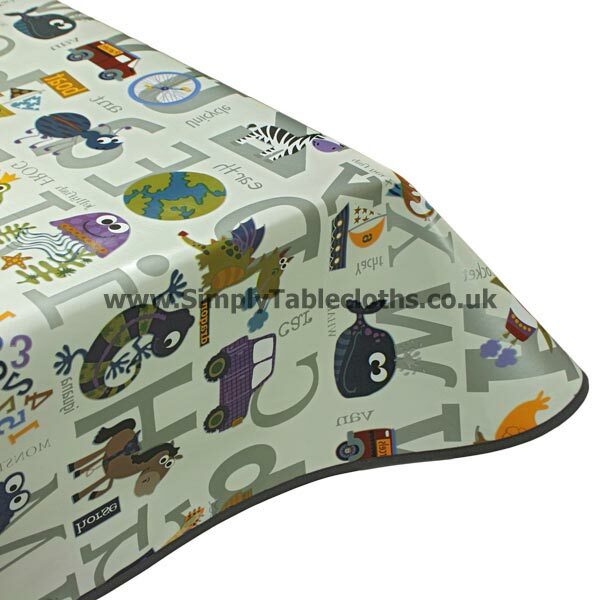 Make learning fun with this vinyl tablecloth, featuring letters and adorable pictures. Bright colors will stimulate your kids creativity and desire to learn. When food gets spilled, don’t worry because this tablecloth has a wipe clean surface to make parents’ lives a bit easier.